• 16 pages & 30 + high-resolution grayscale images. Based on the success of the Mauser Gewehr 98 long rifle (Gew 98), adopted by the German Army in 1898 and used throughout World War I, there was a demand for a shorter version that could be used by cavalry and stormtroop units. The Karabiner 98 Kurz (carbine 98 short) was developed in the 1930’s from the standard rifle-length Karabiner 98b and was adopted by Nazi Germany in 1935. This would become the standard rifle for the German army, navy, and airforce until the end of World War II commonly known as the K98k, Kar98, or Mauser 98k. Over 14 million of these rifles were produced by various manufacturers. However, this number includes versions of the rifle other than the K98k, such as the Czech vz-24. In 1900, Springfield Armory paid Mauser $200,000 to incorporate the action into the US 1903 Springfield. From 1950 to 1965, Yugoslavia’s Zavodi Crvena Zastava factory (Red Banner Works) manufactured almost an exact clone of the 98k. 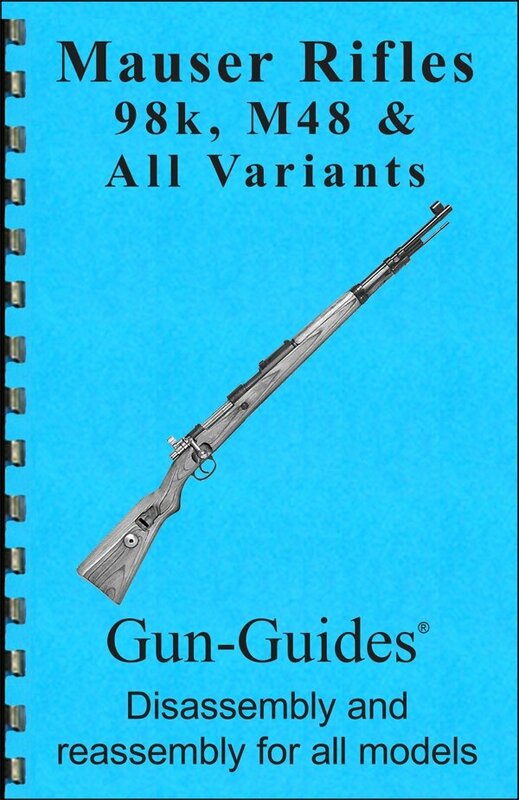 The Model 1948, has a shorter bolt-action found on the Model 1924 Mauser rifles. The M48 was manufactured with all milled parts. The M48A has a stamped magazine floorplate and trigger guard. The M48B was made with additional stamped parts. In 1953, the Spanish were manufacturing a slightly modified version, but with a straight bolt handle. CZ and FN also produced new K98k rifles after the war, many of which were assembled from leftover German parts. With a little research you will quickly find that there are a few dozen other countries that have produced Mauser type rifles. Argentina, Brazil, Czechoslovakia, China, Iran, Mexico, Peru, Poland, Sweden, Turkey, and Venezuela have also benefited from Paul and Wilhelm’s Mauser’s inventive genius. The Mauser 98 series rifle is the longest serving combat rifle in history.